Today we have the author of the debut novel, RED, a coming of age story in a conformist world. We are SO excited to have Alison Cherry here today! I’ve heard some writers say they can’t start working on a new book until they know what the last sentence is. Personally, I can’t start until I know the first one. It doesn’t matter if I have the whole plot worked out. It doesn’t matter if the emotional arc is crystal clear and I know the characters inside and out. Until I know how I’m going to begin, the whole book stays trapped inside my head. Sometimes I mull over the opening sentence for weeks. But once I nail it down, it’s like turning on a tap in my brain, and the rest of the book can start flowing out. orient the reader in the story. "Lucky for me, I don’t get panicky in small dark spaces or anything. I’m a different breed of crazy." There’s no way I could read either of those sentences and put down the book without knowing more. Why was Marchetta’s main character’s father dying? Why did she count the minutes instead of getting help? Why is Haydu’s main character trapped in a small dark space? What breed of crazy is she? We have to find out, and so we keep reading. There’s something about Cassandra’s whimsical, creative voice that captured my heart right from the start. I didn’t even care what happened in the story—I just knew I just wanted to spend more time with her. Honestly, Cassandra could go on to describe walking her dog for the next fifty pages, and I’d eat it up. "Harry Potter was a highly unusual boy in many ways. For one thing, he hated the summer holidays more than any other time of the year. For another, he really wanted to do his homework but was forced to do it in secret, in the dead of night. And he also happened to be a wizard." Even if I hadn’t read the previous two Harry Potter books, those four sentences are all it would take to intrigue me, make me laugh, draw me in with a warm, conspiratorial voice, and let me know exactly what kind of book I was starting. And most of all, it makes me want to know more. Alison grew up in Evanston, IL. She is a professional photographer and spent many years working as a lighting designer for theater, opera, and dance. Now she lives in Brooklyn and writes young adult novels full time. Her debut, RED, is coming from Delacorte in October of 2013. 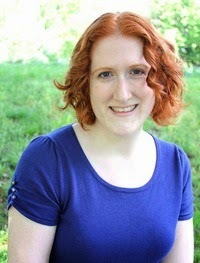 She is represented by the lovely and amazing Holly Root of Waxman Leavell. The power of first lines as a hook, line and sinker tool is unmistakable. Great thoughts about first lines! First lines intrigue me, especially ones done well. They're almost magic. RED sounds really interesting, by the way!! Oh boy, I always end up changing my first lines. ;) But you're right - good ones are worth their weight in gold! Wow. Those first lines are very instructive. Thanks for such a useful post. 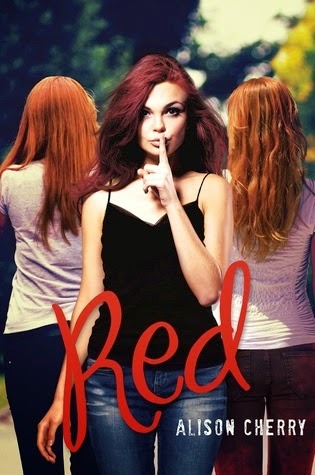 I am looking forward to reading RED. It sounds terrific.